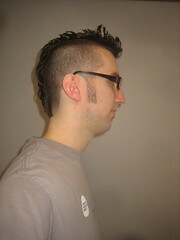 I’m now rocking a mohawk and a soulpatch for charity: water. 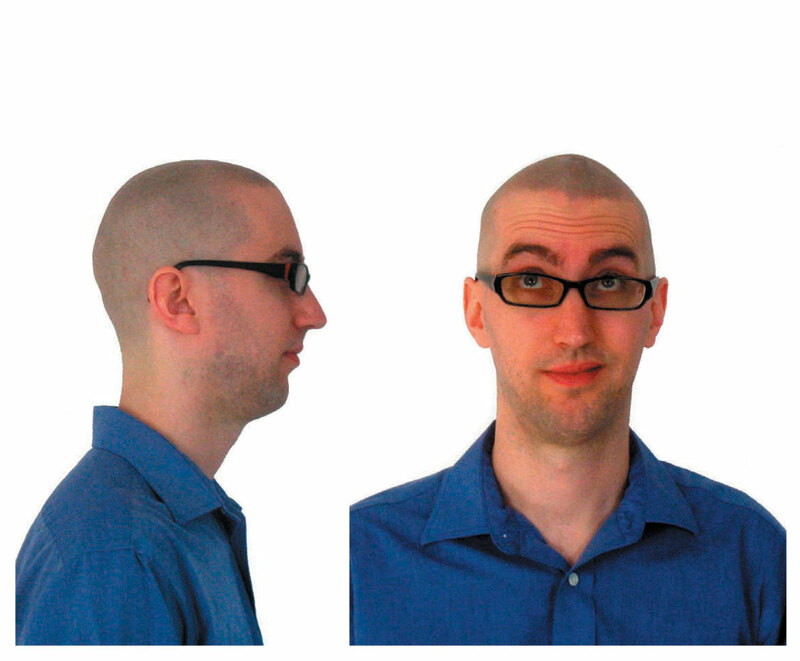 Christopher Turner had the winning ( and only) donation in my ill-advised Haircut for Charity campaign. 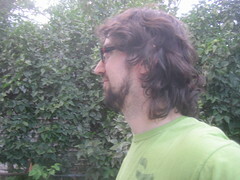 Some folks commented that sacrificing my hair for charity is kind of played out. Probably. But it’s still fun. And we gave people some clean water. So $100 for charity: water, clean water for more people and a new ‘do for me. Everybody wins. My wife hates it. I kinda like it. You can donate here to support my charity: water campaign and help build a well in Ethiopia. So far we’ve raised $1,914. You can help us get to $5,000. Thanks! 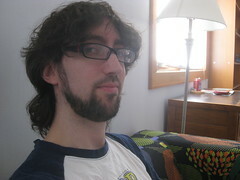 Oh, and this is the first time in at least three years that I’ve had a real haircut. My wife is going out of town. I need to raise $3,186 more to build a well in Ethiopia. Make a donation to my charity: water campaign. Biggest donation wins. I’ll rock your selected hairstyle until my wife returns. It’s pretty simple. A haircut for clean water, and you get to pick the style (or lack thereof). Have fun, be stupid and give generously. Remember you can always support the well simply by buying a copy of my book. I’m only doing this because my wife will be out of town and I can get away with it. Plus I need a haircut and I’d rather see some good come out of that, like clean water. All in good, clean fun. Make a donation to my charity: water campaign by 1 p.m. CT on Friday, July 23. Note in the comments of the donation what hairstyle you’d like me to rock. Send me your proposed hairstyle and I’ll post them here (post the image somewhere and send me a link or e-mail the image to me). Facial hair is in play. Eyebrows are not. No razor blades (i.e., I’ll cut it clippers short, but I’m not shaving it with a razor short—wife vetoed that). Donations must be made between Monday, July 19 and Friday, July 23 at 1 p.m. Central Time. 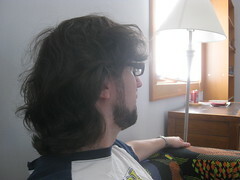 I’ll get the haircut on Friday afternoon/evening and it will last until Monday, July 26. It has to be a haircut a barber shop can actually do simply by cutting my hair (no extensions, no dye jobs, nothing the fine people at Great Clips can’t manage). 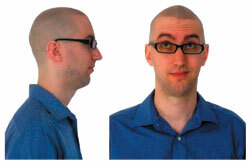 I promise to conduct business as usual with the winning haircut (i.e., no hiding out at home). I’m thinking about hitting up the Middle Eastern Festival (camel rides!) on Friday, the Red Bull Flugtag on Saturday and I will attend church on Sunday (I’d pitch sporting the winning ‘do at work, but the whole work-at-home thing makes that kind of boring). Nothing inappropriate can be shaved into my head. I reserve the right to donate myself and trump lame-o entries (i.e., if the winning donation turns out to be a paltry $20 for a mullet, I’ll donate $25 myself and pick something better). In a nutshell, if I’m going to look like an idiot in public for three days, it has to be worth it. So if you want me to look like an idiot, better donate more than I likely would. Let’s build that well in Ethiopia! Thanks.